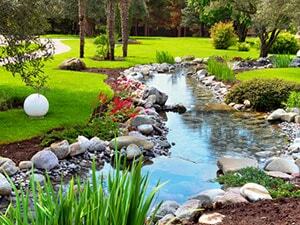 The landscaping of your property is constantly on display. It is the first thing that your visitors see and, therefore, your landscape design has a major influence on their perception of you and your lifestyle. There have probably been many times when you imagined the landscape design you would love to have on your residential, commercial, or industrial property, but dreaded finding a reliable landscaping company that could turn your vision into reality. Forget your worries and come to Total Lawn Care, LLC. We have been in the landscaping business since 2003 and have the right skills, experience, and resources to enhance your property with beautiful, well-maintained landscaping. 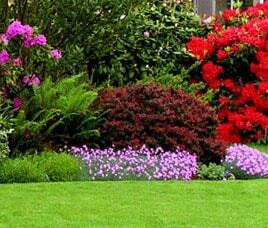 Nothing boosts the aesthetic appearance of your landscaping like a well-manicured, lush green lawn. Sadly, lawn care is much more complex than it sounds. Many property owners rely on do-it-yourself lawn care, realizing only too late that getting landscape design and installation from professionals is not enough. 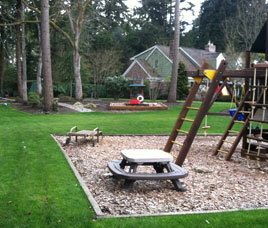 Regular lawn care also demands the attention of a knowledgeable landscaping and lawn maintenance expert. 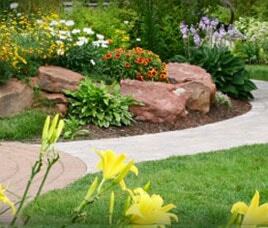 TLC offers complete lawn care services to give you a spectacular lawn and a landscape design you can be proud of. 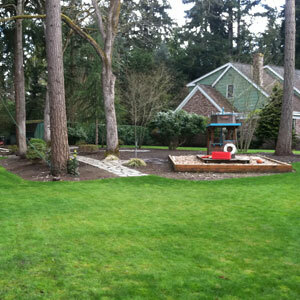 We offer grass sod and hydroseeding services to develop a robust lawn for you. These are supplemented with regular lawn care that includes mowing, fertilization, and pest and weed control to ensure that your lawn always makes a graceful addition to your landscape design. Whether you want residential landscaping that creates the perfect environment to relax in with your family, or commercial landscaping that gives your business place a clean and professional look, TLC is the landscaping expert to do it for you! 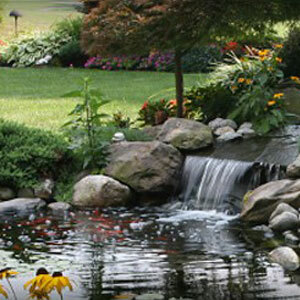 Our practical, yet artistic landscape design and fine landscaping installation services are just what is needed to bring out the hidden beauty and elegance of your outdoor space! 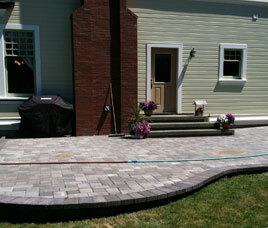 Want to learn more about the landscape design, installation, and lawn care services of Total Lawn Care, LLC? 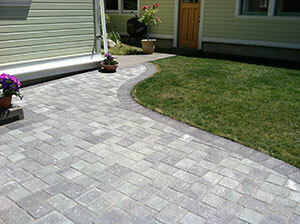 Call our landscaping experts at 253-777-4664. Established in 2003, Total Lawn Care, LLC is a full service landscaper that provides comprehensive landscaping services for residential, commercial, and industrial properties.